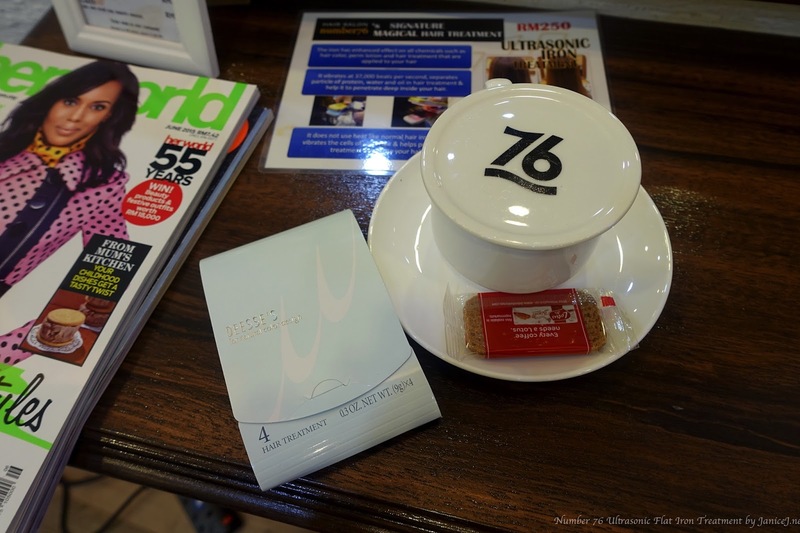 My first exposure of Number 76 was from Cheesie's blog (Big fans here! 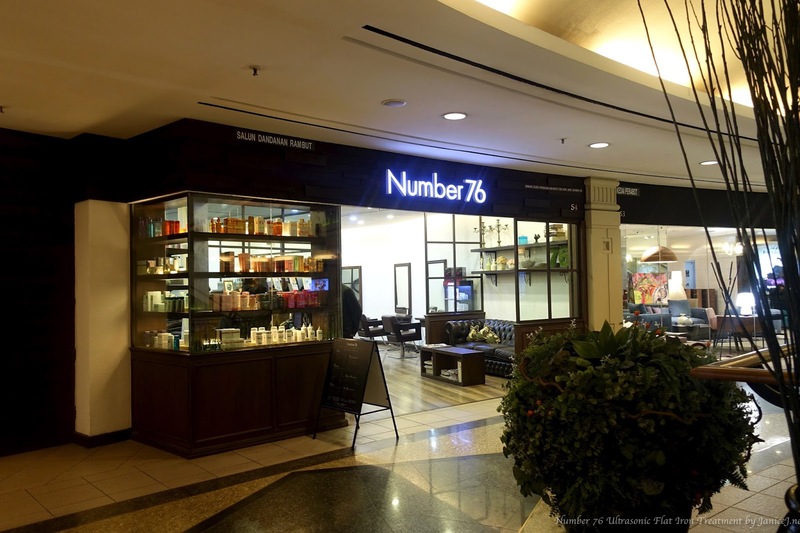 ).To me, Number 76 is like the rest of the high end saloon, where you will need to spend a fortune to get your hair done there. To all Japan's fashion fans, this is the place that you should visit. 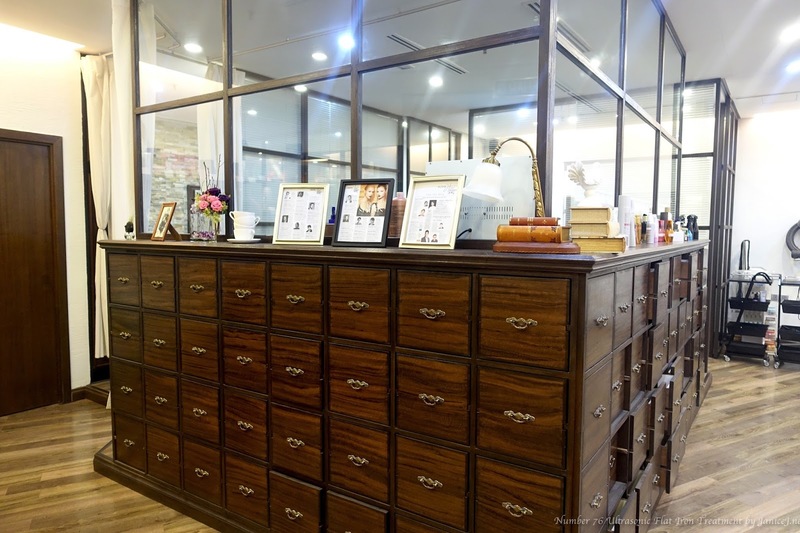 I am lucky enough to be invited there to review their famous Ultrasonic Treatment. The shop is located at Pamper Floor, just take the middle lift up to Pamper Floor and you will see it. 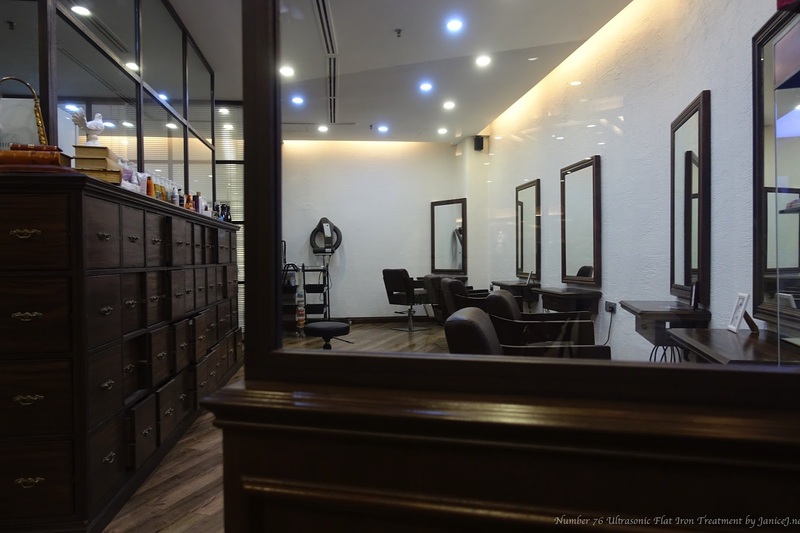 My first impression towards the saloon was pleasant. I really like how spacious it was. The wooden floor and furniture gives a hint of classy feeling to the shop. Products were placed nice and near around, making it looks even professional. The idea of having different furnishing for their outlets is good, you can change your environment and still enjoy their same services. For more information, check out Number 76's website. 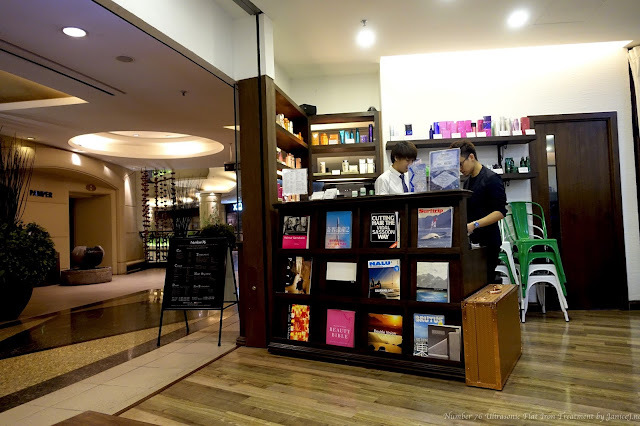 I was surprised that they are selling Shisheido's skincares in their shop as well, just right beside the waiting area. 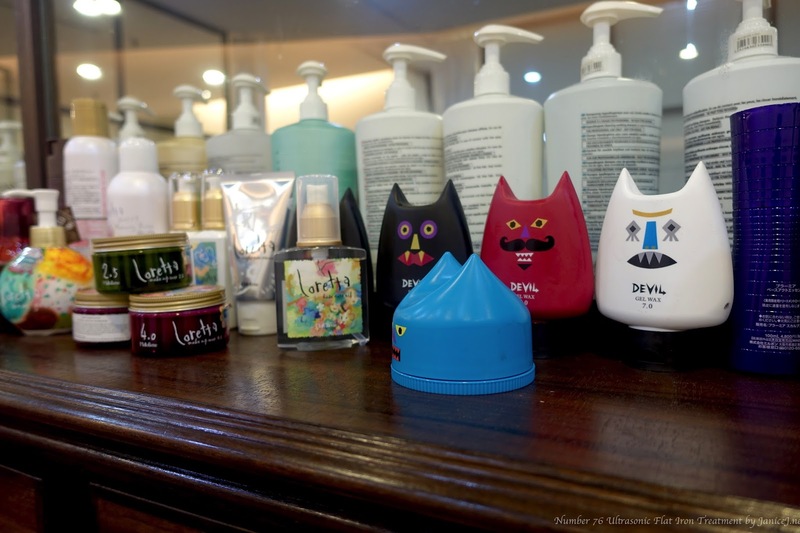 Other than that, there was also really cute hair care & styling products. All prices were transparent and available on Number76's website. My hair is long (trying to be a real-life Rapunzel..), not really bad but I do have frizzy hair moments for like everyday and it gets tangled up time to time. 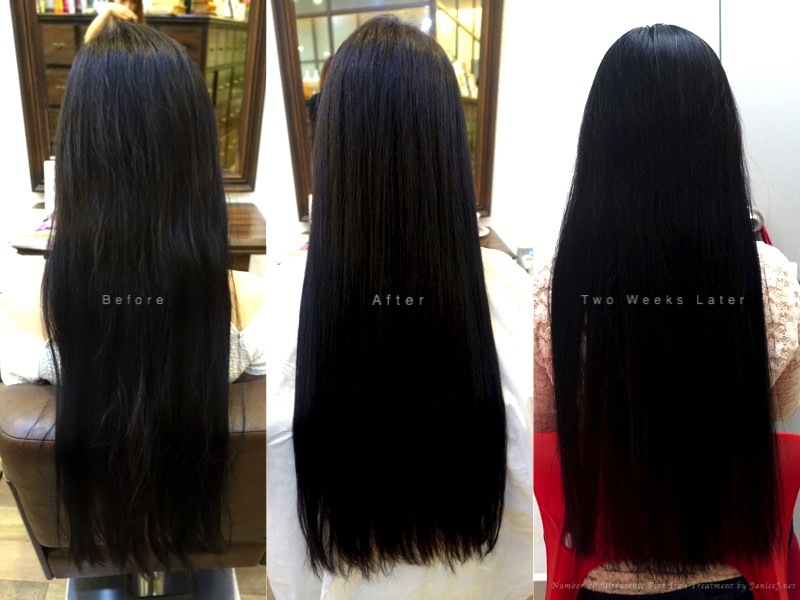 I do not have high expectation toward any hair treatment as all previous treatment that I did last only a week or so. So, let see what this treatment do for my hair. First I was given a hair wash (with Keratase shampoo!) and towel dried before the treatment cream is applied. 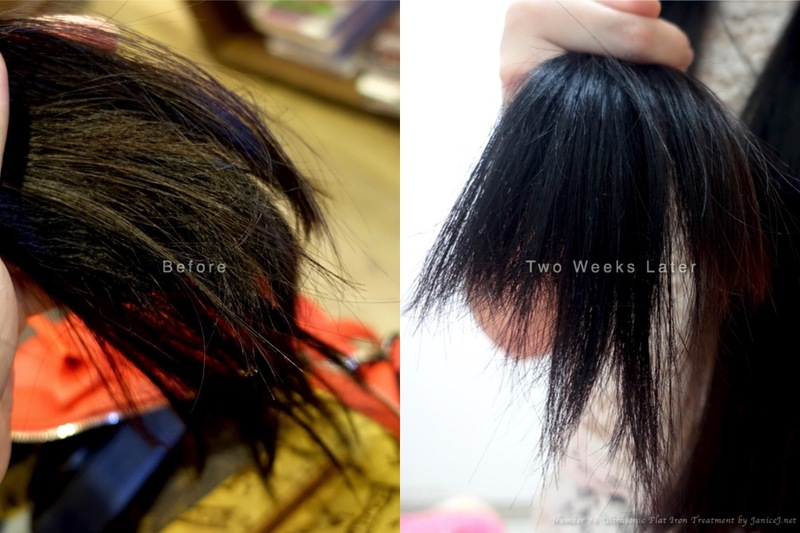 It then proceeded with the best part, Ultrasonic Iron Treatment. Note the blue light? It actually changes from red to blue. Blue light (Feeling like the Great Gatsby) means it is vibrating and all the good stuffs go into your scalp. After this process, collagen cream was applied before I goes to the hair wash area. After washing off the residue, hair was blew dried and yep it is done! Other than the treatment, you get free styling by your stylist. I definitely loves the curls by Senior Stylist Xuan. 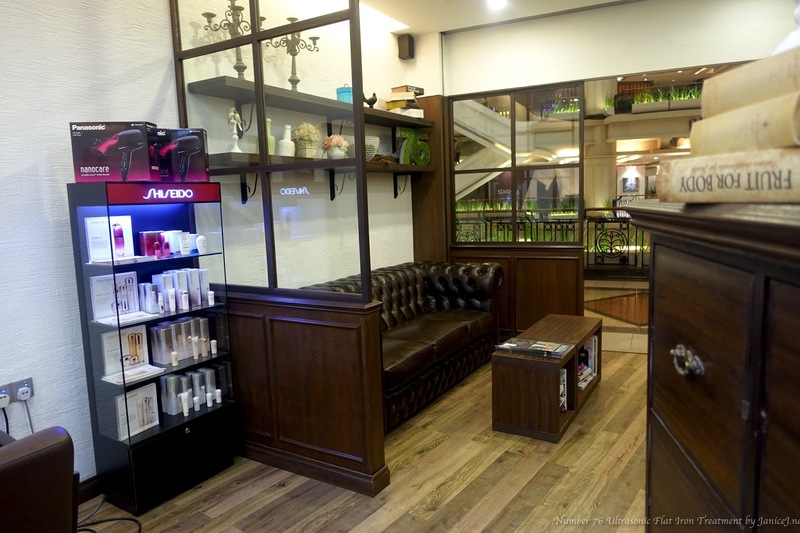 So, what exactly is the Ultrasonic Iron Treatment? 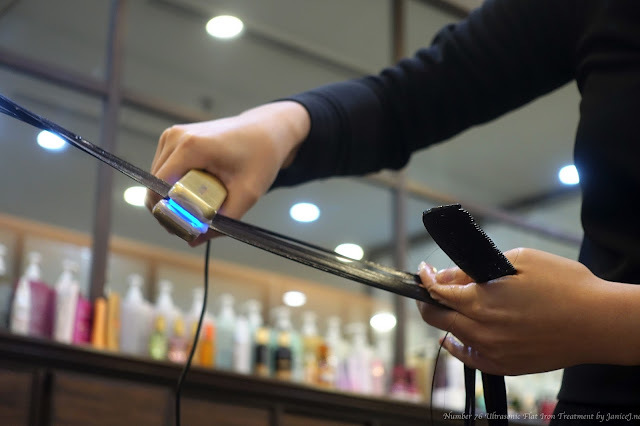 Unlike other treatments that incorporate steaming or without any tools, this Signature treatment from Number 76 uses an Ultrasonic Iron (look just exactly like a flat iron) that will vibrates at 37,000 beats/seconds to penetrate treatment deep into hair follicles. It separates proteins particle, water and oil in hair treatment so they can go deep inside the strand. The iron surprisingly does not heat up, but is icy cool so it will not change the hair style (e.g., curls) and will not cause heat damages! Who should do this treatment? I strongly recommend those with hair that tangles easily to do this treatment once per month if you can afford it. I really enjoy the feeling of flipping my hair and it does not stuck between my fingers! Also, for those with dry and messy hair. 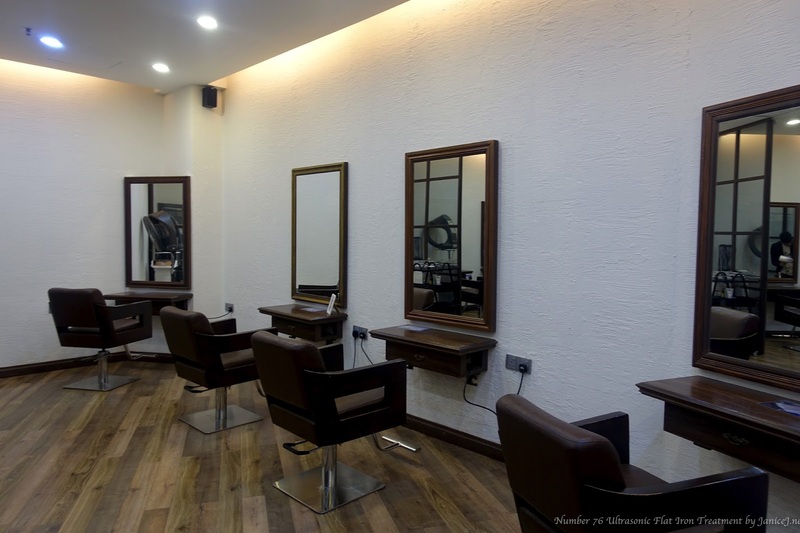 Those suffer severe damaged hair due to frequent colouring, perming and rebonding can opt for the Premium Ultrasonic Iron Treatment with top-up on the price (means you get two times of the cold rebonding process). So, how much it costs? 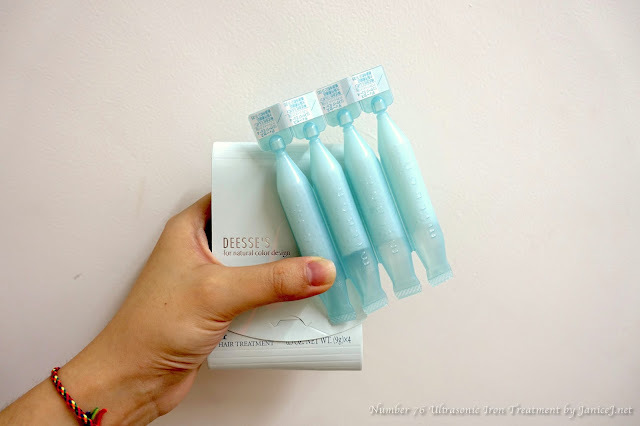 RM250 plus a monthly supply of Deesse's Hair Treatment for free. Seriously I got no idea. It is my third week after treatment and it still feels amazing. Here, let the photos speak! Such big differences right? The two weeks later photo is actually taken one day before my third week at home treatment. It is on the 20th days after my treatment. Impressive? You must be curious, what at home treatment? Every Ultrasonic Iron Treatment will comes with a free one month supply treatment which you can do at home to maintain the result. So it is like you did the treatment this Friday, the following five Fridays you will have to do the at home treatment. It replaces your conditioner, similar to hair mask. I really like how thoughtful they are, to provide such convenient products to maintain the treatment result. 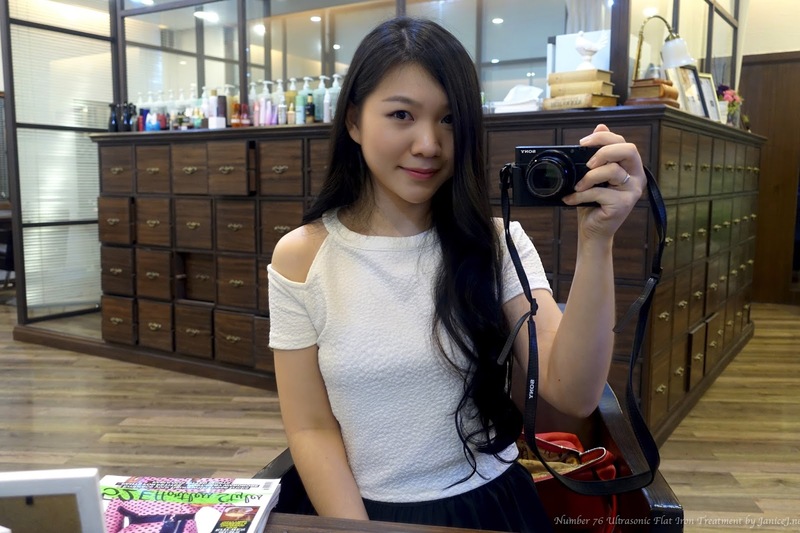 It has been two weeks, although my hair does not feel as awesome as directly after treatment, but it certainly is better than my original condition before the Ultrasonic Iron treatment. Well as usual, ending the post with a group photo. 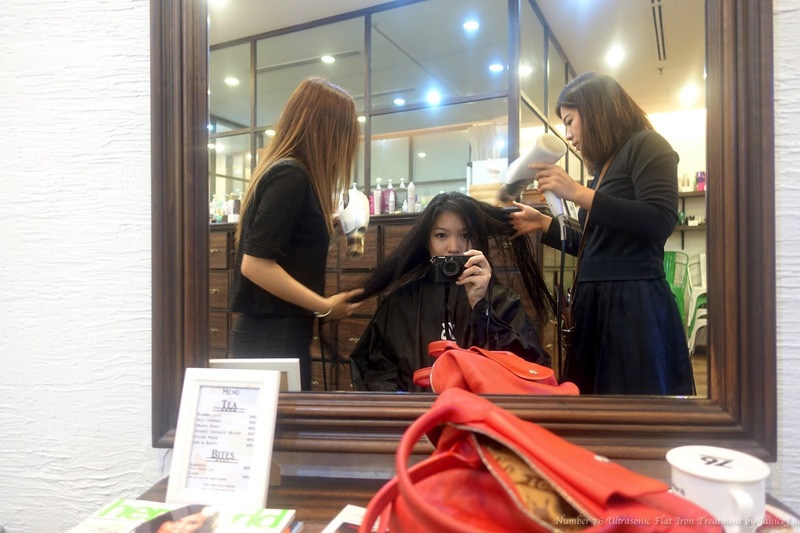 Senior Stylist Xuan (middle), her assistant and me! I am really really busy recently since it is a short semester and I will have to deal with a lot of stuffs for my transfer to the States. I am sorry for the slow update, but I hope you gals (or guys) enjoyed my post! 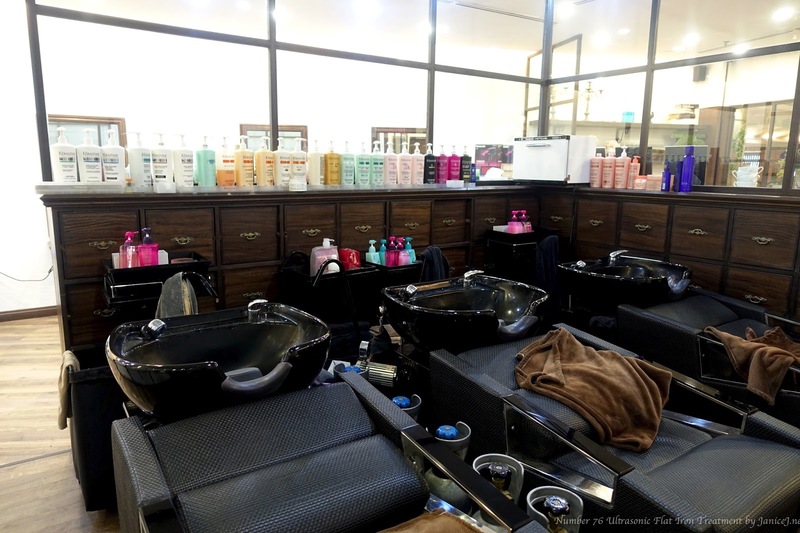 I was thinking to get this hair treatment as my hair is SO dry and frizzy. 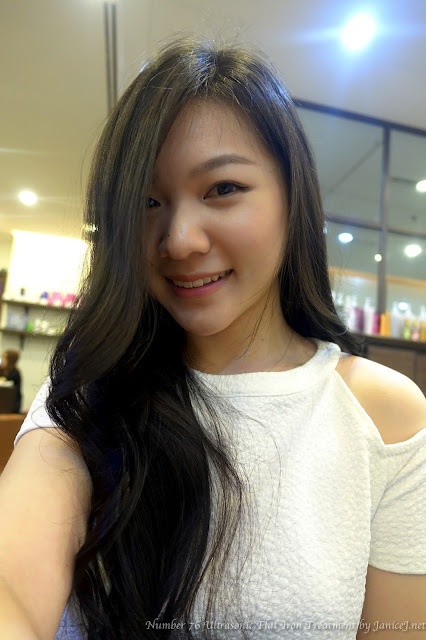 And after I read your post, now I'm so excited and confident to choose this hair treatment. Thank you! Over 345 items that you should consider cleaning in your home. You will not really spend for all cleaning appointments at once. Our ordinary is certainly $100 for each various other week and if people believe that is شركة تنظيف منازل شرق الرياض certainly to high perform your very own home compleate, in 2-3 hours and after that determine what YOU would charge to perform it. Hi, I are a brand-new house owner and are considering about employing a home cleaner. Then I got pregnant and my spouse determined I needed to stop a very good job to become a stay at home mom....once my kids were securely in school every day time he chose out of the blue that I should obtain a job and help with the شركة تنظيف بالرياض مجربه budget. Nevertheless, I are a housekeeper and a extremely effective one. And, it can free you up to be more functional at other points in your life," said HGTV's "House Counselor," Laurie March in an interview with HuffPost Home. Professional اسعار تنظيف خزانات بالرياض and maid service pros can help you make sure that you get the right home washing and maid support services to show off your house to its best advantage. I believe households are great to clean for specifically the moms who possess children. We pay her for 4 hours of cleaning every two weeks, and she can't even do as much as our previous cleaner did in under 2 (and she doesn't do it as well). Anita responded to my text 7 moments later to let me know she would check their GPS.. But at that point I was frustrated with the whole process.. Why make the customer end up being therefore comprehensive تنظيف منازل with credit reporting and explaining the work and reacting if your group can't also show up on time or notify the client or respond... Why was I held to a different standard than you arranged yourself?.. Make this your mantra: "I did not fail the schedule; the schedule failed me." Replace the tactics that didn't work with new ones for the following month. When I arrived home from work ill one day time, مكنسة المسبح I found out why - she experienced put in under 2 hours and remaining, but logged in for 4. When I spoken to my retired neighbour, she said the cleaner by no means spent more than 2 hours at my house.